So the Rangers Newco’s first experience of domestic football in Scotland will be in Division 3. The final nail is in the coffin, the four horsemen of the apocalypse have been summoned, the 10 terrible plagues of Egypt will reign upon our game, and the universe will implode around teatime. Well, that’s pretty much what we’re being led to believe by shameless ‘red-top’ tabloid journos. Give me a break. The seemingly eternal and bureaucratically orchestrated demise of Rangers FC as we knew it has come to an end. Surely this is something to rejoice over? We can actually start thinking about playing football again! One could be forgiven for thinking that the Scottish media’s handling of the Rangers situation in recent weeks has been one last hurrah for lazy journalists who’ve been spoon fed their copy since the day the HMRC story broke. This “£16m cost” figure is as fictional and unfounded as Craig Whyte’s friendship with Prince Albert of Monaco. Yes, the absence of Rangers in Scotland’s elite footballing division will have monetary ramifications, but to report only this aspect of the drastic change is an insult to football fans across Scotland. To illustrate the point, I’ve picked up on two stories reported in the media today on the matter. The first, an understandably stunted and sensationalist piece in the Sunday Mail; while the second is an altogether more surprising angle, from the usually enlightening pen of Graham Spiers. The Sunday Mail today claimed that 5 current SPL teams will go bust within a month as a result of the Rangers debacle. Sorry, but that’s just factually incorrect to the point that I feel embarrassed for Gordon Parks, who penned the piece. The suggestion was that St Mirren, along with Inverness Caledonian Thistle, Motherwell, Dundee United and Kilmarnock will no longer be able to function. This constant scaremongering about such things does nothing for the game in this country. The game is constantly in motion, and will always face new difficulties. Yes, the current Sky & ESPN deals could be subject to a negative change, but doesn’t that ‘crisis’ sound a little familiar? I seem to remember a similar media frenzy when the proverbial arse fell out of Setanta. Also, on a smaller scale, silly behavior ensued when the Scottish Cup was struggling to find a sponsor. Even in the untouchable land of English football, OnDigital’s meteoric rise, and cataclysmic fall had little or no impact on the day-to-day running of the game. Time has proved that the game always survives, and another option always presents itself. The SPL clubs will survive too. The Scottish game isn’t exactly wealthy, and never has been. For this reason, the clubs in question have become accustomed to live within their means. A restricted income will simply result in restricted outgoings. It really is that simple. In the second case I stumbled across today, the aforementioned Mr Spiers put across his usual erudite, punchy and enjoyable opinions on how things have transpired in the last few days. But I took umbrage, not to what he said, but to what he omitted. A clear focus in his piece was that Peter Lawell, Neil Lennon, and Celtic as a whole will miss Rangers more than they’ve ever missed any aspect of professional football. Perhaps true in some respects. The Old Firm derby is amongst the most prestigious and exciting football encounters on the face of the Earth. Of course the thought of it not being a regular fixture for at least the next three years is somewhat harrowing for football fans, that’s a given, but Spiers failed to highlight the fact that Rangers are where they are by virtue of their own financial mis-management. Rangers have suffered a fate no different from any other team in Scotland who ever have or ever will go through the liquidation process. There’s no conspiracy, and conversely, no exceptions to be made. Rules and regulations were broken by Rangers. They’ve been punished to the point where their club as they know it, no longer exists. The Rangers Newco begin life in the Irn-Bru Scottish 3rd Division, where they’ll have to claw their way up and rebuild their illustrious 140 history. The world loses one of it’s greatest football derbies, not as a result of an unjust punishment, but as a result of procedures being followed correctly in a structured national football league system. What everyone seems to be missing is the huge, gaping avenue of opportunity that’s been thrust into focus as a result of the seismic shift in power within Scottish football. Our game has been on it’s knees for many years, this is no secret, nor is it a revelation. Poor crowds, with even poorer revenue streams have been the symptoms of this, but until now these have been portrayed as the illness. 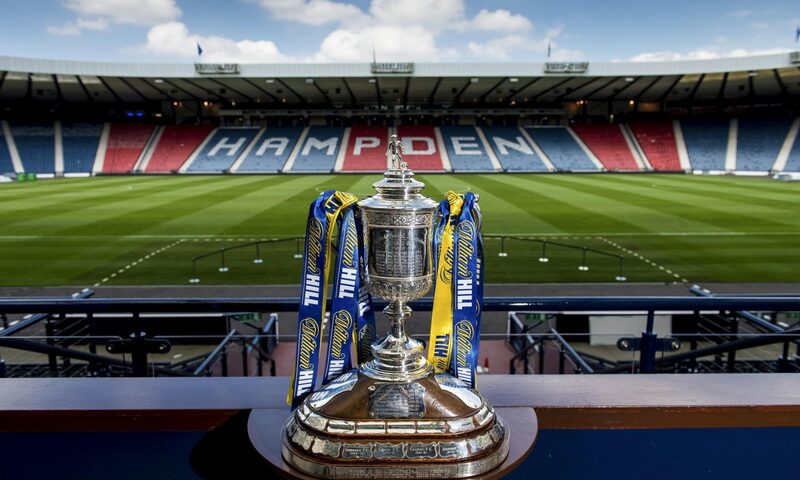 There are so many unexplored options to boost the wavering stature of Scottish Football, and now is the time to throw our collective weight behind them and turn the game around. Expanding to a 14 or 16 team league, summer football, a foreign player quota, wage caps, Friday night football, reintroducing the Glasgow Cup, and TV finance restructuring are all options that instantly spring to mind, so why aren’t we exploring them?! Let us also not forget the positive consequences of Rangers holding a place in Scotland’s lower leagues. As the Newco inevitably work their way up the divisions over the coming years, the clubs who are really in the financial doldrums can expect a monetary shot in the arm like they’ve never seen before. Each club in the 3rd division this season can guarantee 2 full houses against Ally McCoist’s men, with the added bonus of two trips to Ibrox too. The money this brings in, and the spectacle for the league itself is something that would be beyond the wildest dreams of clubs like Annan, East Stirling, Clyde, and Stranraer (to name but a few). This redistribution of wealth, and media attention on our lower leagues can only bring good things. Prior to this odd turn of events, when would any of you have considered going to a Scottish third division game? The ubiquitous notion that Scottish football is, ‘on its knees’ is being reported as though the troubles have come in the form of a bullet in the head; when it’s really more like a slow debilitating illness. Now is the time to make football an enjoyable commodity once more. A brief and inadvertent break from the drudgery of the ‘Gers in Crisis’ news stories, and renewed passion behind restructuring Scottish football from top to bottom gives me hope for this season, and seasons beyond. The ultimate goal is to develop a football industry in Scotland where all aspects of society can support their team of choice at a reasonable cost, viewing a decent standard of play, with levels of hospitality and consumer amenities that are on a par with the elite divisions across Europe. That’s the dream, and there’s no reason why it can’t become a reality. Yes Rangers are down, but they will return. Cleansed, well structured, and most welcome in Scotland’s top division. Next season will be a bizarre one. Perhaps the most bizarre yet, but the game goes on. You,re over confident that Rangers will survive. The feeding frenzie may not be finished. Gonna have a massive effect on the SPL!